Farmers’ group representative Kishor Tiwari blamed the Swiss agrochemicals company Syngenta, Germany’s Bayer, and Monsanto for the deaths of the Indian farmers killed by insecticide poisoning. He urged criminal action against the pesticide manufacturers and corrupt government officials. He has also demanded an immediate ban on chemical farming in India. Angered by reports of farmers dying as a result of exposure to pesticides sprayed on GM Bt cotton, a Maharashtra farmer tried to spray the visiting state agriculture minister with insecticides similar to those that killed around 20 farmers in a few months. Pink bollworm has developed resistance to Bt cotton, causing a crop loss ranging from 20% to 25% across India’s states. And now the Maharashtra government has asked the central government to reverse its approval of the commercial release of GM Bt cotton seeds grown using Bollgard II (BG-2) technology. A panel will investigate how 15% of the state’s cotton acreage has been planted with an unapproved GM Bt strain developed by Monsanto and may bring criminal charges. A Soil Association report reveals how GM cotton grew to almost obliterate all other cotton production in India, and how the promised GM success rapidly turned to failure, with disastrous and sometimes lethal results for some of the world’s poorest farmers. 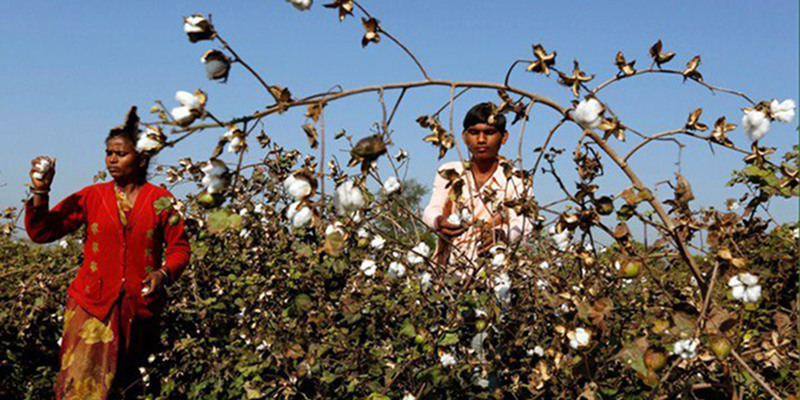 Now more sustainable cotton production is now successfully replacing GM. GMO Bt toxins: Safe for people and environment or super toxins? The chief benefit claimed for GMO insecticidal Bt crops is that unlike conventional pesticides, their toxicity is limited to a few insect species. But a new peer-reviewed analysis systematically compares GMO and natural Bt proteins and shows that many of the elements contributing to this narrow toxicity have been removed by GMO developers in the process of inserting Bt toxins into crops. Thus developers have made GMO insecticides that, in the words of one Monsanto patent, are "super toxins". The authors additionally conclude that references to any GMO Bt toxins being "natural" are incorrect and scientifically unsupportable. Cases of pest resistance to GM Bt crops have increased by more than fivefold in the past decade. The researchers analyzed published data for 36 cases representing responses of 15 pest species in 10 countries on every continent except Antarctica. They discovered resistance that substantially reduced the efficacy of the Bt crops in the field in 16 cases as of 2016, compared with only three such cases by 2005. 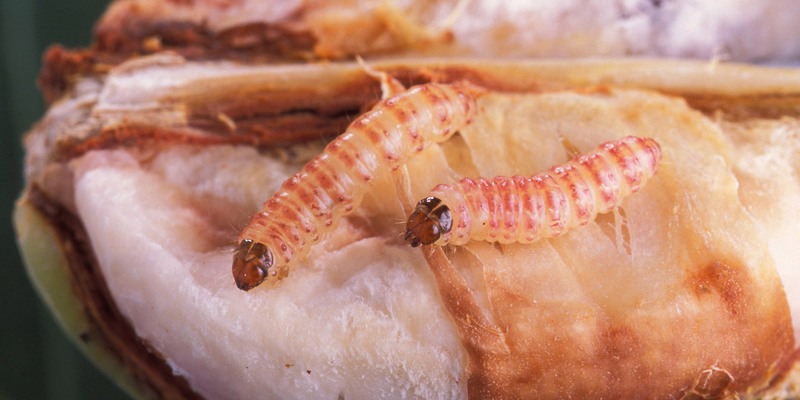 In these 16 cases, pests evolved resistance in an average time of just over five years. A new study finds that GM Bt and herbicide-tolerant GM plants fail because they don’t take account of the complexity of biological systems. The authors conclude that these GM approaches are reductionist in nature and fail to take account of complex biological systems, leading to negative “surprises”. A cross-party group of MEPs has demanded a phase-out of glyphosate by December 2020 in a draft resolution that will be voted on this week. They want a ban on non-professional use of the herbicide and use in public parks or playgrounds after 15 December 2017, when the current authorisation expires. The MEPs want the Commission to withdraw its proposal for a 10-year renewal. In addition, the MEPs asked for an overhaul of the EU's risk assessment of pesticides. They want the scientific evaluation of pesticides for regulatory approval to be based only on published, peer-reviewed and independent studies commissioned by competent public authorities. The MEPs’ resolution follows a joint ENVI/AGRI committee hearing in the European Parliament on the “Monsanto papers” and glyphosate, held on 11 October, where MEPs’ mistrust of Monsanto and the EU regulatory authorities became clear. MEPs withdrew parliamentary access after Monsanto shunned the “Monsanto papers” hearing into allegations that it unduly influenced studies into the safety of glyphosate. The EU’s food safety watchdog EFSA recommended that glyphosate was safe but pages of its report were identical to the application for renewed approval from Monsanto, according to a report in the Guardian. Authors from the German authority BfR are guilty of “serious scientific misconduct” in copy-pasting a Monsanto report without giving citations or distinguishing between Monsanto’s and their own assessments, says an Austrian expert on plagiarism, Dr Stefan Weber. Scientists from four national environmental health organizations have called on the scientific journal Critical Reviews in Toxicology to retract a review downplaying glyphosate’s cancer risk because the review article was covertly edited and funded by Monsanto, the pesticide’s maker. Lawyers on the “Monsanto papers” case have accused the EU agencies responsible for food safety and chemicals of “wilfully sawing off certain studies” in their risk assessment of glyphosate. The chemicals expert Tony Tweedale of RISK Consultancy has analyzed the industry report on which the EFSA conclusion that glyphosate is not an endocrine disruptor was based. He found that all peer-reviewed studies were excluded from the EFSA evaluation. Yet a significant proportion of these studies point to glyphosate and its commercial formulations having endocrine disruptive effects. The European Commission will have until 8 January 2018 to respond to the highly successful European Citizen initiative calling for glyphosate to be banned within the EU. Former Reuters reporter Carey Gillam ventured into a global hornets’ nest in her new book about glyphosate – Whitewash: The Story of a Weed Killer, Cancer, and the Corruption of Science – published by Island Press. She’s interviewed by Steve Holt for Civil Eats. A new research study from the European Commission’s Joint Research Centre and two Dutch laboratories shows that 45% of Europe’s top soil contains glyphosate residues, demonstrating the over-reliance of the EU agricultural model on this harmful herbicide. Contrary to manufacturers’ claims, glyphosate persists in soils, not only affecting soil fertility and crop quality, but also posing risks to human and environmental health. The proposed merger between Bayer and Monsanto should be blocked under EU competition law, according to a major new study from researchers at University College London. The products of new genetic modification techniques (NGMTs) are GMOs and should be strictly regulated as such, according to a statement released today by the European Network of Scientists for Social and Environmental Responsibility (ENSSER). The statement challenges claims by proponents that these new GM techniques (often called New Plant Breeding Techniques or NPBTs) are so precise and controllable that their products are not GMOs in the usual sense and do not pose any greater risks than their non-GMO counterparts. The EU Commission has repeatedly refused offers of expert help to develop and implement detection methods for the new generation of GMOs. There are no legal or technical reasons to exclude the new GM techniques from the risk assessment, prior authorisation, and mandatory traceability and labelling, which apply to current GMOs, according to the organic farming organisation IFOAM. The launch of Roundup Ready 2 Xtend seeds has been a full-on disaster. The seeds exist to address a problem caused by Monsanto’s previous generation of GM soybeans, engineered to resist Roundup (glyphosate) herbicide. Farmers planted them so widely that weeds predictably evolved to resist it. So Monsanto engineered Xtend soybeans to fend off not just Roundup but also dicamba, an older, more toxic herbicide. The outcomes were that weeds already resistant to glyphosate quickly evolved to resist the dicamba mix, and much of the dicamba wafted off-target, killing non-dicamba-tolerant crops. Now farmers are expected to plant Monsanto’s GM dicamba-tolerant seeds as a defence mechanism. US weed specialists doubt that new federal restrictions on the use of dicamba weed killer, sold by Monsanto and BASF and sprayed on GM dicamba-tolerant crops, will prevent recurrences next year of crop damage linked to the chemical. The EPA’s new limits focus on the application issues and do not address volatilization, herbicide experts and farmers said. Farmers in at least 10 states are involved in lawsuits claiming various levels of loss and damage due to dicamba-tolerant GM technology and the number of suits is climbing. Syngenta has agreed to pay more than $1.4 billion to US farmers who complained that the marketing of the company’s GM corn seeds shut them out of the Chinese market, according to people familiar with the deal. Roundup herbicide caused disturbances in an important soil fungus at the cellular level at doses at which there is no visible effect on the whole organism, according to a new study by the research team of Christian Vélot at the University of Paris-Sud. The authors believe that their data “are likely to challenge the concept of ‘substantial equivalence’ when applied to herbicide-tolerant plants”. In a study in mice, exposure to low doses of the herbicide glufosinate near birth was found to alter neuronal (nerve cell) development. The study demonstrates for the first time the deleterious effect of perinatal exposure to glufosinate on brain development, both at the cellular and molecular levels. Glufosinate is used on some GM herbicide-tolerant crops. GM salmon could have high levels of cancer-causing hormones or cause allergies, says Jaydee Hanson, the senior policy analyst at the Center for Food Safety, which is suing the US FDA over its approval of the GM salmon for consumption in the US. A resolution directing an inquiry on GMO golden rice has been filed at the House of Representatives in an effort to stem the imminent re-introduction of the crop. The government’s resolve to supply free GM Bt brinjal seeds to 2,001 farmers in 64 districts is a testimony to the fact that it is hell-bent on cultivating the crop in spite of the bitter experience gathered by most of the 20 farmers in Gazipur. Vessels loaded with GM maize have been intercepted by biosecurity staff in Lagos, Nigeria. The cargo was intended to be secretly introduced into Nigerian market. Five-time Super Bowl American football champion Tom Brady blasts big food companies, referring to them as more like “chemical companies than anything else,” in his new self-help book. Brady criticizes GMOs, which are found in around 75% of processed foods in the US. A better understanding of fundamental plant processes is needed to exploit the potential of GM crops to help feed the world, scientists have warned. Only an improved understanding would fully enable GM technology to create higher-yielding, more resilient food crops, said the researchers. The organic body, the Soil Association, said the GM industry had been promising for decades that GM crops will provide higher yields and improved nutritional value, but had failed to produce even one commercially viable example. Ben & Jerry’s has moved to cut all glyphosate-tainted ingredients from its production chain and introduce an “organic dairy” line next year, after a new survey found widespread traces of the controversial substance in its European ice creams. The release of “Monsanto papers” – the internal documents of the agrochemical multinational made public in the context of a class action lawsuit against it in the US – show that employees of the firm manoeuvered behind the scenes over several weeks to obtain the retraction of a study on GM maize and Roundup herbicide by the French biologist Gilles-Eric Séralini. An investigation by the French newspaper Le Monde tells the story. Pro-GMO scientist Kevin Folta has provided inaccurate information and engaged in misleading activities in his efforts to promote GM foods and pesticides. Now he’s suing the New York Times and two-time Pulitzer Prize winner Eric Lipton for reporting his ties to Monsanto. Executives at GMO developer companies are strategizing on how to introduce gene editing to consumers and potentially reset the debate over GM seeds.